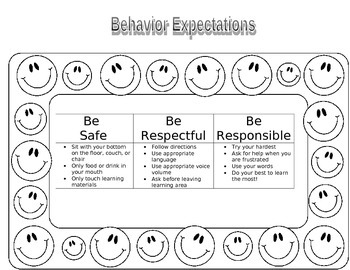 This chart helps students to understand what it means to be safe, respectful, and responsible. I use this for one-on-one tutoring, but it could also be used in a full classroom. Specific descriptions of behavior could be modified once the document is downloaded.